It was an instantly explosive scandal, with ramifications deep and wide enough to shake American democracy to its core – and then almost as instantly, the mainstream media simply abandoned its coverage. Supreme Court Justice Anthony Kennedy cast an uncharacteristic vote in Donald Trump’s favor on the Muslim Ban, then abruptly announced his retirement the next day (even though he had already hired clerks for the upcoming session), just as we were learning that Kennedy’s son was deeply caught up in the Trump-Russia scandal. 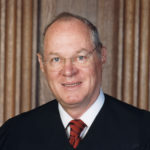 On June 28th of this year, just as Anthony Kennedy was announcing the end of his Supreme Court tenure, the New York Times reported that his son Justin Kennedy “spent more than a decade at Deutsche Bank, eventually rising to become the bank’s global head of real estate capital markets, and he worked closely with Mr. Trump when he was a real estate developer.” This was particularly noteworthy considering that not too long ago, Deutsche Bank was busted for having laundered billions of dollars of Russian money into the hands of unnamed clients in cities including – ahem – New York City. So was Justin Kennedy the secret conduit for the Kremlin to criminally launder money into the hands of Donald Trump, or was Kennedy totally uninvolved in any such hijinks, and he just happened to be in the wrong place at the wrong time? We don’t know the answer, because the major media outlets – who have the inside sources and investigative resources to expose these kinds of things – completely dropped the story. In the name of trying to get somewhere on this crucial but dry-docked scandal, I’m going to present one possible theory of what could have happened. Let’s say – hypothetically, because there is no proof of this – that Justin Kennedy was indeed a criminal money launderer for Donald Trump and Russia. let’s further say that once the media dredged this up, Anthony Kennedy realized he was going to need to find a way to bail his son out. The easiest path of course would be a presidential pardon. Let’s say that Kennedy asked Trump to pardon his son, and that Trump agreed to it on one condition: Kennedy had to immediately retire. This would hand Trump a key victory – getting to appoint a Supreme Court Justice while the Republicans still safely had control of the Senate before the midterms. The scary part is that, while this would represent one of the most criminally scandalous corrupt bargains in the history of the United States government, it doesn’t sound that crazy. It’s also worth pointing out that there is no plausible above-board explanation for some of the things that have transpired here. Why did Anthony Kennedy hire clerks for the upcoming session – a sign that he was 100% committed to not retiring – and then suddenly change his mind without explanation? What are the odds that Kennedy would happen to make his retirement decision at the same time his son was being exposed, and that these two events were somehow related? It’s time for the major media outlets to do their jobs and dig up the real story here.